Planning for the 2013 Special Olympics Men's Basketball Tournament is well underway with Indiana State University students becoming more involved than ever. Kristi Fisher, a senior recreation and sport management major from Terre Haute, is serving as an intern for Special Olympics Indiana and is in charge of helping plan the upcoming tournament. She landed the opportunity as a result of her involvement with the Nonprofit Leadership Alliance (NLA) at Indiana State. "I got involved by first volunteering at the basketball tournament last year," Fisher said. "Then I helped with summer games and now this. It's something you build upon. You can't just work one event and expect an internship. You have to build your reputation." 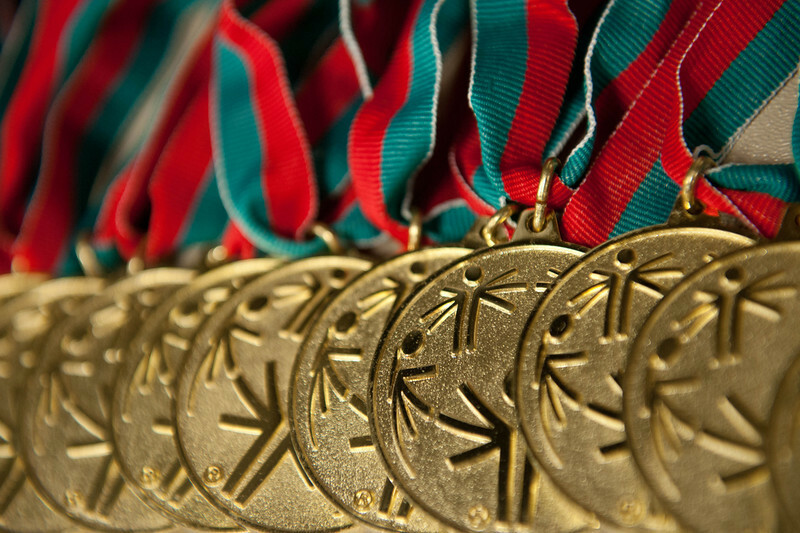 The relationship between Special Olympics Indiana and Indiana State has been extensive. Two Indiana State faculty members founded the Special Olympics state organization in 1969 and since then, the relationship between the two entities has grown. Nathan Schaumleffel, associate professor, associate professor of kinesiology, recreation and sport and campus director of the campus NLA chapter, has played a big role in connecting Special Olympics to current Indiana State students. As students continue doing great work for the organization, Schaumleffel is able to make more connections. Fisher's internship was the product of a job well done. Last year, Zack Hurst, another Indiana State NLA student, helped plan for the 2012 Special Olympics Men's Basketball Tournament. Hurst served as the volunteer coordinator which put him in charge of finding all of the volunteers needed to staff the event which Indiana State has hosted annually since 1971. More than 100 volunteers gave their time to help work the courts, the physical fitness assessment, and souvenir tables during the two-day tournament. The largest groups of volunteers came from two of Indiana State's recreation and sport management classes which Schaumleffel teaches - RCSM 236: Fundamentals of Group Leadership and RCSM 447: Issues and Trends in Recreation Management Youth Leadership. As a community engagement and service learning component of the classes, students from RCSM 236 served as court workers and were in charge of running the clocks, keeping score, making announcements, working the souvenir table, and bookkeeping. Students from RCSM 447 served as court captains with full responsibility for training and supervising the court workers. With Hurst as supervisor for the court captains, this tournament served as a three-tiered engagement experience for the students. "As students demonstrate professional competence in class projects, they are selected for positions at the higher tiers of engagement," Schaumleffel said. Fisher demonstrated her commitment and is now excited to see what she can learn from her involvement with the tournament. "I hope to gain more experience in planning special events," she said. "This is a really big one that happens every year and it means a lot to the athletes and families of Special Olympics Indiana. I don't want to fail those athletes so I just want a really good and fun tournament. I hope this can be a resume builder for all the volunteers and they get as much out of it as I did last year. Special Olympics is a life changing experience." Jeff Mohler, chief operating officer and vice president of programs at Special Olympics Indiana, appreciates the help students provide. "Indiana State University's Nonprofit Leadership Alliance is a fantastic concept," Mohler said. "It is one thing for community organizations to benefit from ‘book learning.' It is something entirely more beneficial for book learning to become action. And that is what the Alliance is about - action AND learning. Both in combination lead to a great future."